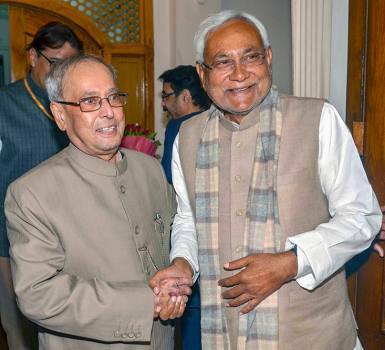 Bihar Chief Minister Nitish Kumar greets former president Pranab Mukherjee, at his residence in Patna. 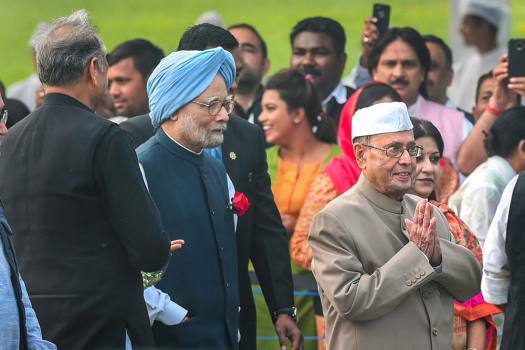 Former president Pranab Mukherjee and former prime Minister Manmohan Singh after paying homage to Pt Jawahar Lal Nehru on his 129th birth anniversary at Shanti Van in New Delhi. 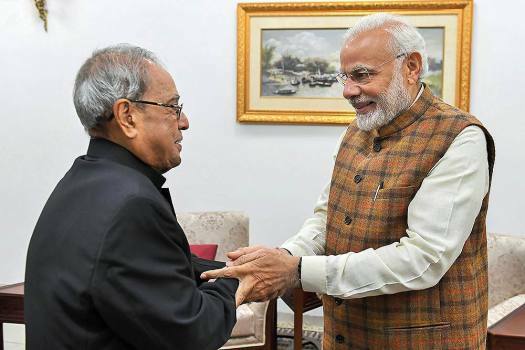 Prime Minister Narendra Modi meets the former president Pranab Mukherjee, in New Delhi. 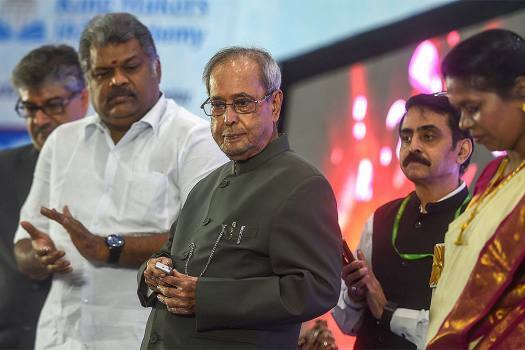 Former president Pranab Mukherjee and TMC President and former union minister GK Vasan at the inauguration for new premises of King Makers IAS Academy, in Chennai. 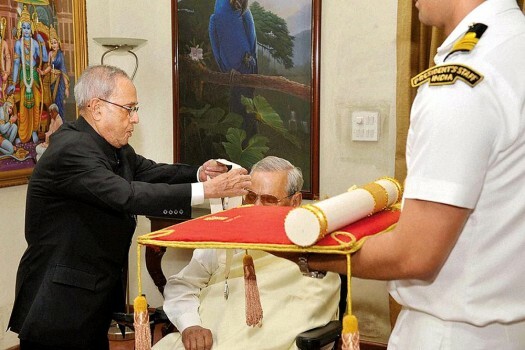 In this file photo, President Pranab Mukherjee conferring the Bharat Ratna on former Prime Minister Atal Bihari Vajpayee at his residence, in New Delhi. 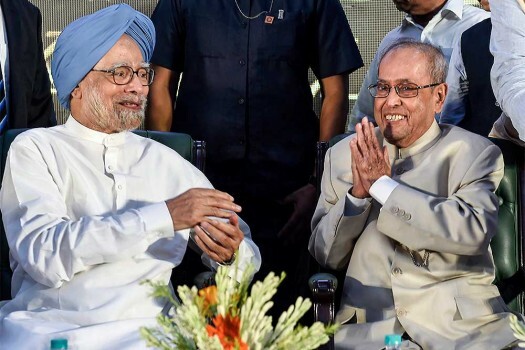 Former president Pranab Mukherjee and former prime minister Manmohan Singh during VC Padmanabhan Memorial Lifetime Achievement Award 2018, in New Delhi. 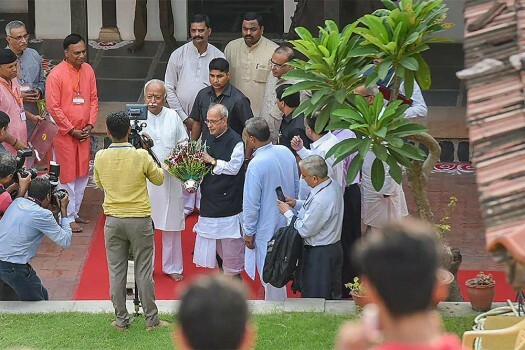 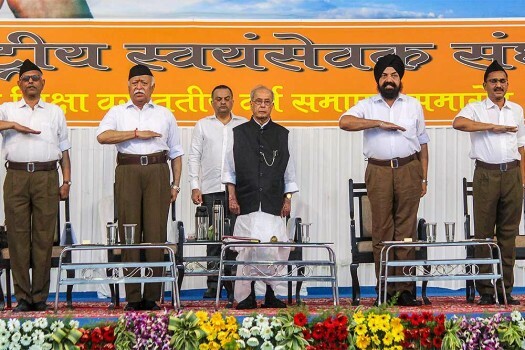 Former president Pranab Mukherjee with Rashtriya Swayamsevak Sangh (RSS) chief Mohan Bhagwat at the birthplace of RSS founder Keshav Baliram Hedgewar, in Nagpur, Maharashtra. 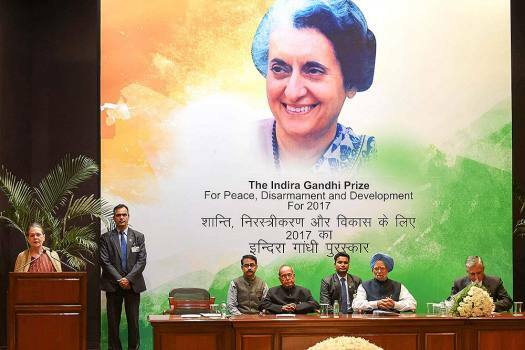 The government on Friday announced conferring on Mukherjee the country's highest civilian award - the Bharat Ratna -- for his contribution to public life. 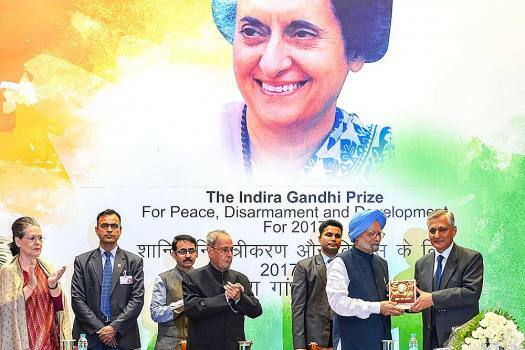 Mukherjee pursued History, Political Science and Law from Kolkata University and embarked on his professional life as a college teacher and journalist. 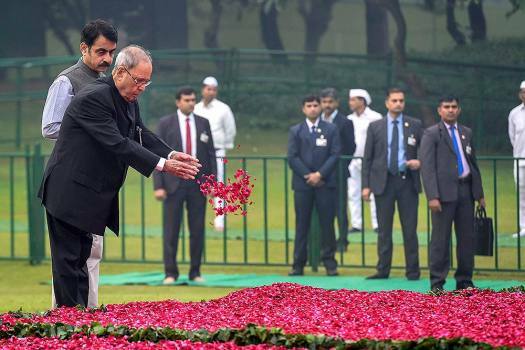 Mukherjee, fondly known as 'Pranab Da', will be the sixth president to be receive this award. 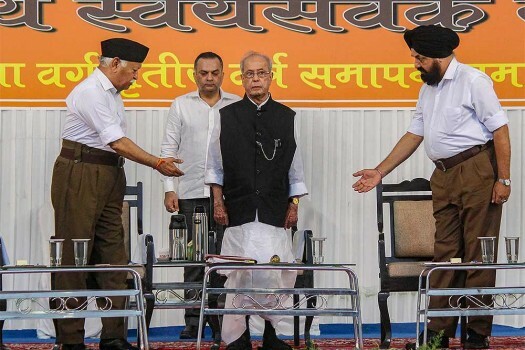 He was the president between 2012 and 2017. 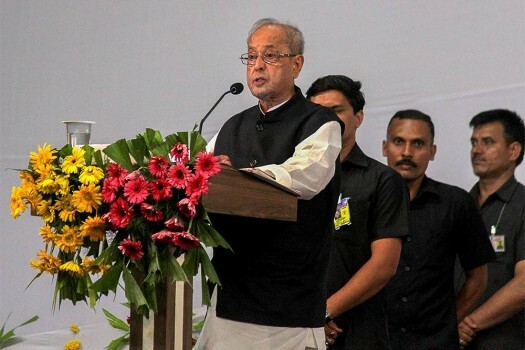 The former President also described fake news as "the greatest menace we face today", saying all it took was a morphed picture, a bogus tweet or a photoshopped statement to create social, political and communal hatred. 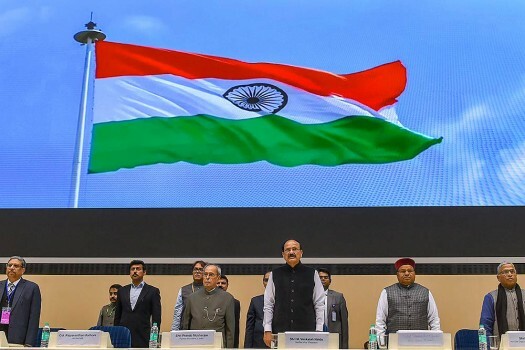 The app will let users rate their MLAs and MPs and is being dubbed as a possible instrument to gauge the sentiments and mood of voters across constituencies in the country. 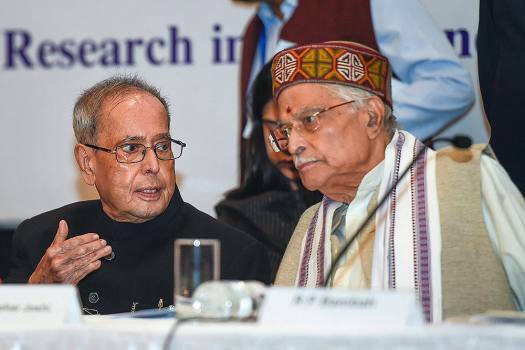 "The skill and deftness with which doctor saheb led the economy in that turbulent period is simply marvellous," Mukherjee said. 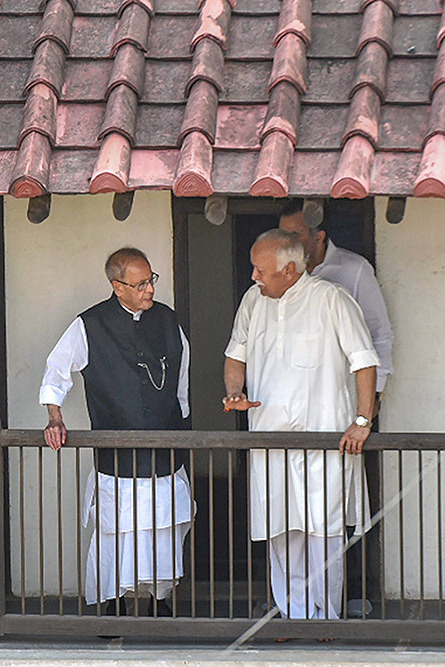 The Tata Trusts spokesperson declined to comment, saying if at all it happens, it will be a private affair of the 81-year-old Tata Group patriarch. 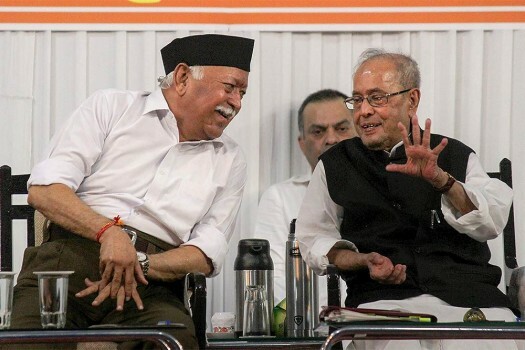 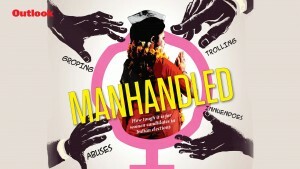 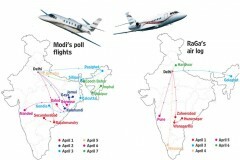 When someone as political as Pranab becomes president, does it cause problems? 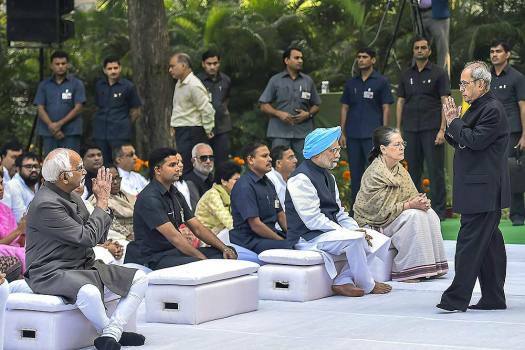 Was Sudipta Sen’s muckraking howl a TMC ploy to tarnish the President? 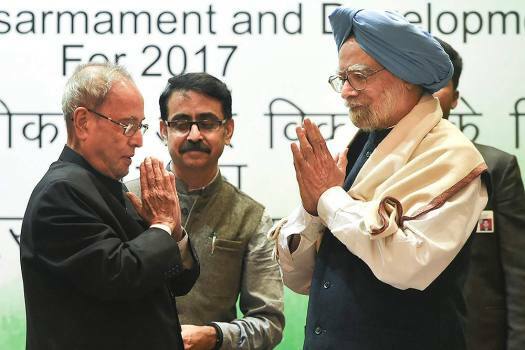 Who Bugged The Finance Ministry?